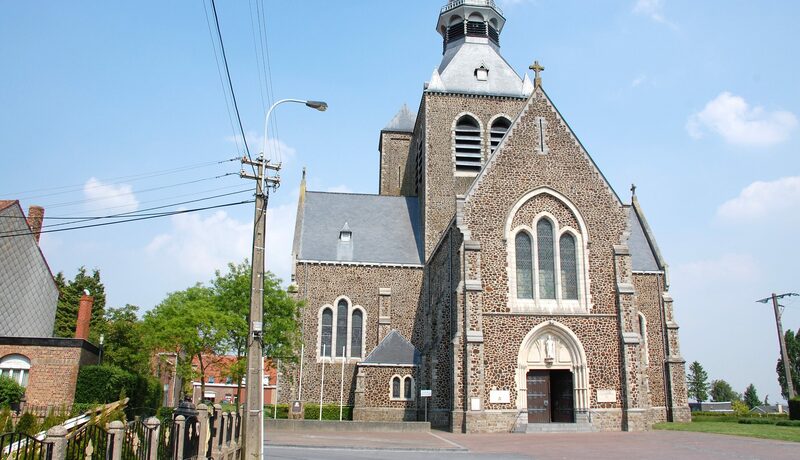 In past centuries the little town of Messines (Dutch: Mesen) housed a carillon of 15 bells. These were stolen by the French invaders in 1793 and melted to produce cannons. In the First World War, Messines was located on the front line between German and allied troops. The town was destroyed by multiple mine explosions during the Battle of Messines of 7 June 1917. 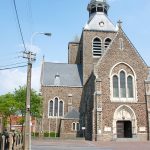 In 1984 the initiative was taken to promote the Messines’ historical heritage and to stimulate tourism. 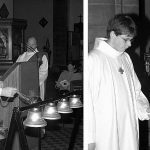 Churchwarden Albert Ghekiere initiated the project of a Peace Carillon that would ring out a message of peace from the smallest town in Belgium. 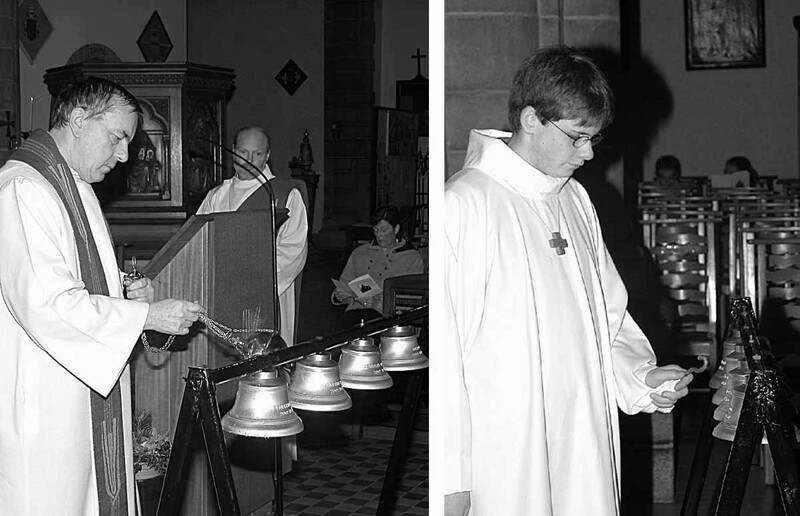 On 17 May 1985, Pope John Paul I dedicated the first bell, named PAX, on the Central Square in Ypres. 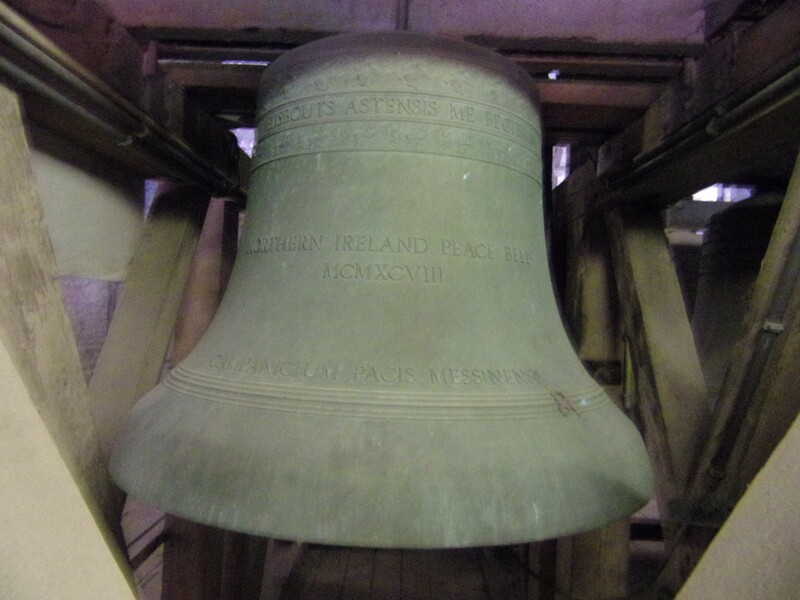 Subsequent fundraising led to 53 additional bells. 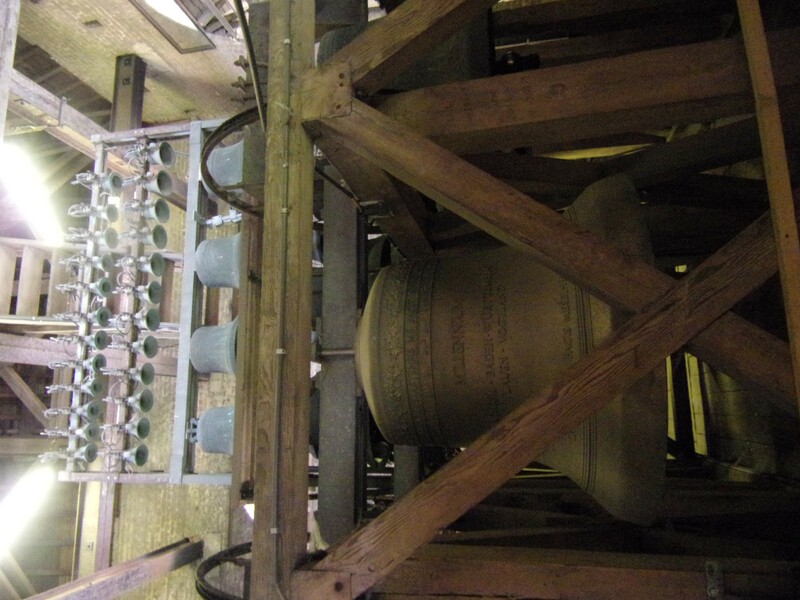 The dedication of the carillon in the tower of St. Nicholas Church took place on 1 June 1996. 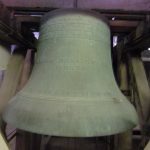 Thanks to later donations, the current number of 61 bells was achieved. Contributions came from 15 countries that had been involved in the First World War, including Germany. In the Peace Carillon the bells from Ireland and North Ireland hang next to each other, in memory of the fact that soldiers from both parts of the island fought side by side during the First World War. This was the inspiration for another token of reconciliation between two groups in Messines: the Island of Ireland Peace Park with an Irish Peace Tower. 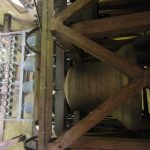 The Peace Carillon can only be played automatically. Every half hour between 8 am and 9 pm peace songs from different countries are played, alternating with Marian songs. The latter are a reference to the fact that Messines was a Marian pilgrimage site during the Middle Ages.